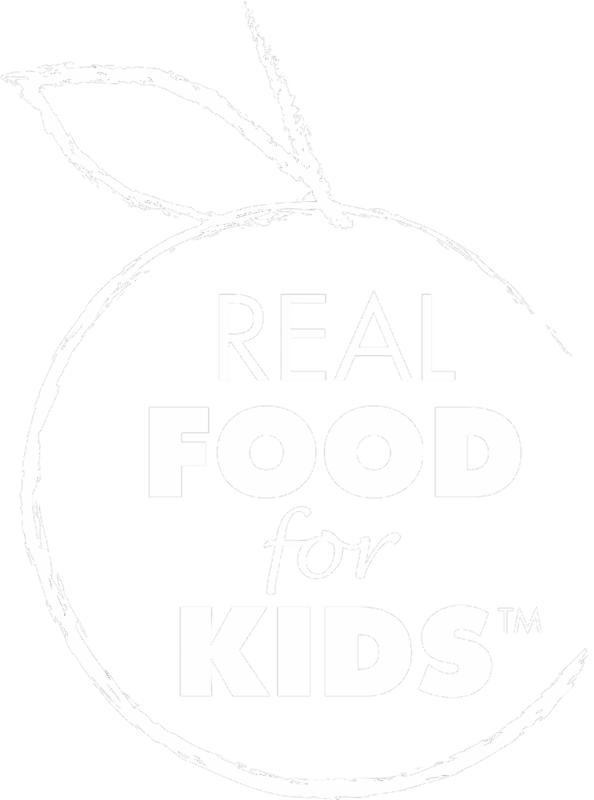 Real Food for Kids "One of the Best"
The Catalogue for Philanthropy: Greater Washington is the region's only locally-focused guide to giving and volunteering . Believing in the power of small nonprofits to spark big change, their goal is to create visibility for their network of 400+ vetted charities, fuel their growth with philanthropic dollars, and create a movement for social good in our region. 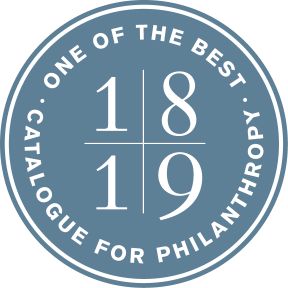 The Catalogue highlights the best local charities, and their work, to show what is possible when caring citizens connect with worthy causes, acting together on behalf of the greater good creating a more resilient community, here, where we live. FCPS Food and Nutrition Services has now installed salad bars at 51 elementary schools to much enthusiasm. 31 schools are scheduled to open next year and the list for 2019-2020 is already filling up. Find out how your school can get in the queue . And check out this link on the Get2Green website with the 2018-2019 list and some great salad bar videos. Fresh BBQ is now available at 11 of our high schools and on rotation in some middle schools where outdoor space permits. Breakfast in the Classroom is now in place at 38 elementary schools and West Potomac High School has been offering Second Chance Breakfast - a program that provides grab-and-go options after 1st period. The winning entrée from RFFK’s Culinary Challenge, a Chicken Shawarma made by Lake Braddock students, debuted on the middle and high school menus in October and will cycle back on this fall. 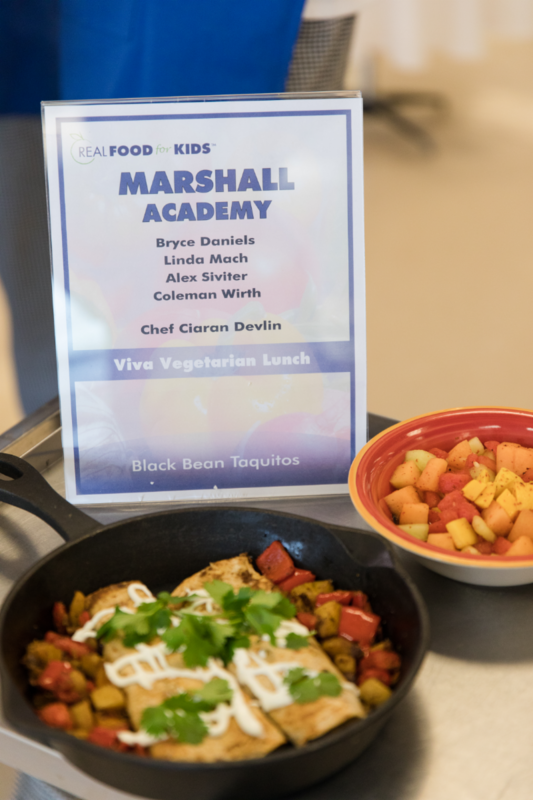 The Black Bean Tacquito with Roasted Veggies and Chile con Fruta created by this year’s winning team from Marshall Academy, will debut on the menu in November. Information on the 2019 Culinary Challenge will be shared this fall. The first ever broad student survey on school food was conducted in middle and high school through RFFK’s Student Nutrition Advisory Council (SNAC). More on those results below. FNS is building on existing Farm to School partnerships at Arcadia and Frying Pan to increase connection points for students – from the farm to the cafeteria to the classroom – and plans to expand these and other partnerships to help all students become lifelong healthy eaters. 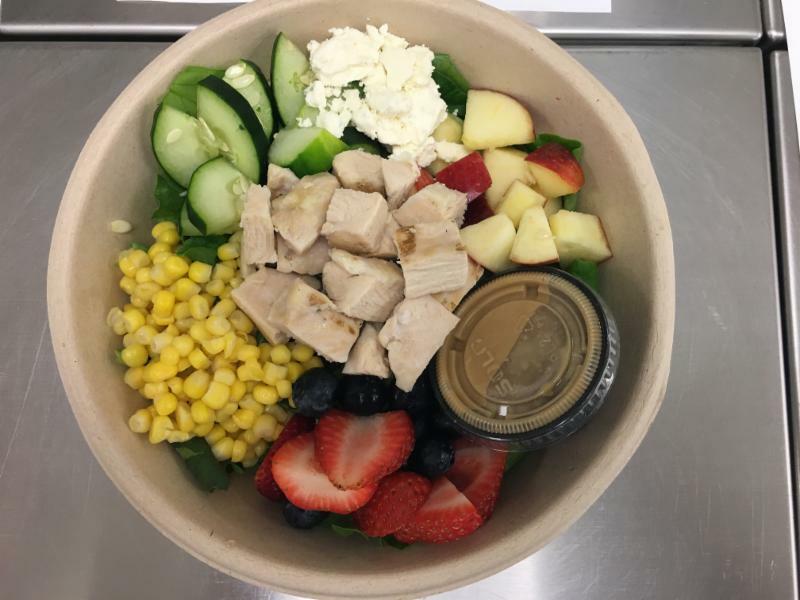 FNS’s spring dietetic intern, Amy Wiggins from Virginia Tech, created a concept made-to-order salad called MyBowl that was piloted with a small group of students at Madison HS. 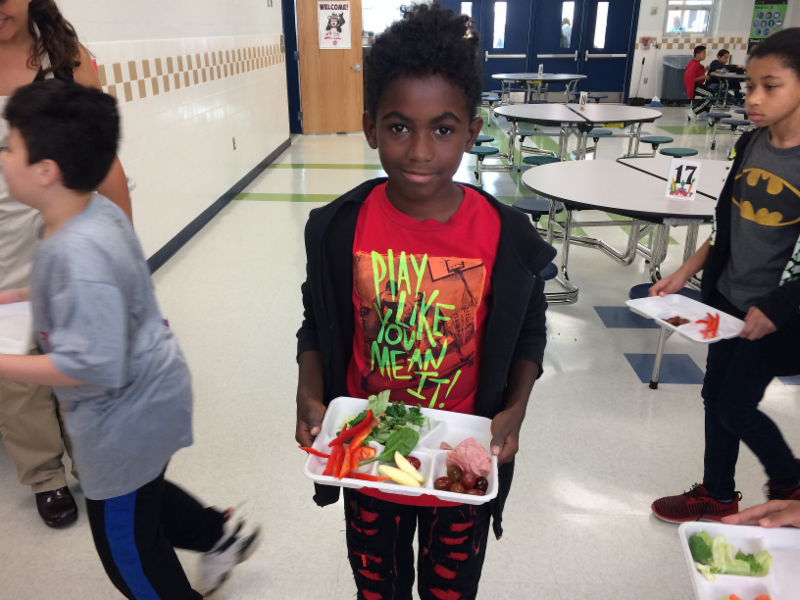 Salads featured local greens from BrightFarms in Culpeper, and students were excited about their colorful and delicious salads! FNS will be exploring how to scale this model at other schools. To support the many edible gardens in FCPS schools, FNS worked with the Fairfax County Health Department to develop Garden to Cafeteria procedures for schools to be able to use garden produce on their lunch lines. School Garden Coordinators should complete the Garden Safety Checklist and Garden to Cafeteria plan, with input from their administrator and cafeteria manager. The first-ever broad student survey on school food in Fairfax County was taken this past fall, initiated by SNAC – the Student Nutrition Advisory Council and Fairfax Food and Nutrition Services. 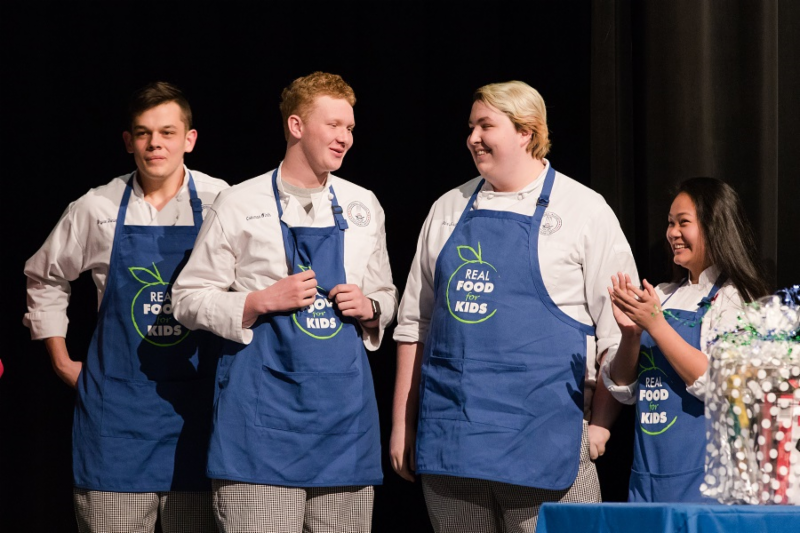 Over 8000 middle and high school students responded to the survey, providing FNS with critical feedback to build out new menu items and offerings and, in partnership with Real Food for Kids, address the challenges students see as impacting the school meal experience. There were an equal number of respondents across grades 7-12, 33 percent of whom eat school lunch 4-5 times a week and 31 percent eating between 1-3 times per week. Taste (67%), Appeal (50%) and Variety (59%) were among the reasons cited for not buying school lunch, although 21 percent indicated convenience was a factor. This may be due in part to the length of lunch periods. Students were split on whether the standard 30-minute lunch period was enough time to eat, although the time actually spent eating varied from 5-30 minutes. Spicy Chicken, Teriyaki Chicken, Pizza and Penne Alfredo were listed as favorite menu items, but across the board students indicated they would like to see more varied options in all categories – proteins, fruits, vegetables and grains as well as more vegetarian choices. 37 percent of students felt menus were culturally diverse or diverse in their ingredients, adding they would like to see more Indian and Asian foods on the menu. Dishes with cheese and yogurt were also desired. Most students, 62 percent, said they did not purchase items from vending machines with the remainder purchasing between 1-6 times per week. 70 percent of those said vending purchases were for after school snacks and 29 percent said purchases were made due to lack of time to go through the lunch line or because lunch portions were not enough to curb their hunger. 36 percent like current vending options, 39 percent would like to see meal-sized options. Students also indicated they’d like more variety in vending selections including more low-fat snack options and fruits to be made available. Soda and chips were also among the requests. FNS Specialist, Morgan McGhee, said they were impressed with the number of students who took the time to respond with their ideas and assured students that they are taking this feedback seriously as they plan menus for the upcoming school year. McGhee added that FNS hosts numerous taste tests throughout the year so its menu can be “student approved.” This survey will assist in making continuous improvements to Food and Nutrition Meal Programs. Students should look for opportunities to participate and offer feedback at these tastings. The Office of Food and Nutrition Services will be hosting the 2018 FEEDS (Food for Every Child to Eat During Summer) BBQ program at various locations across Fairfax County this summer.This USDA-funded program is FREE to all children 18 years and under and adult lunch at BBQ sites are available for $2. There is no registration involved and everyone is welcome! Check out this quick Summer Food and Friendship video. Meal service will be provided at these sites on Monday to Friday from 11:30-1:00 pm (Poe MS starts at 11:00 am) starting June 18 to August 27, with no service on July 4th. A kickoff celebration will be held at Hutchison Elementary from 11:00 AM to 1:00 PM on June 20. The winning team of Real Food for Kids' Culinary Challenge - Marshall Academy students Alex Siviter, Linda Mach, Coleman Wirth and Bryce Daniels, recreated their Black Bean Tacquito with Roasted Veggies and Chili con Fruta for FCPS Chef Brian Head and menu specialist Ellen Eichenbaum in preparation for the new dish to debut on the menu in the fall. Because FNS kitchens do not have the same scratch cooking capacity as academy kitchens, the recipe process has to be reviewed and adapted to the equipment available at schools. 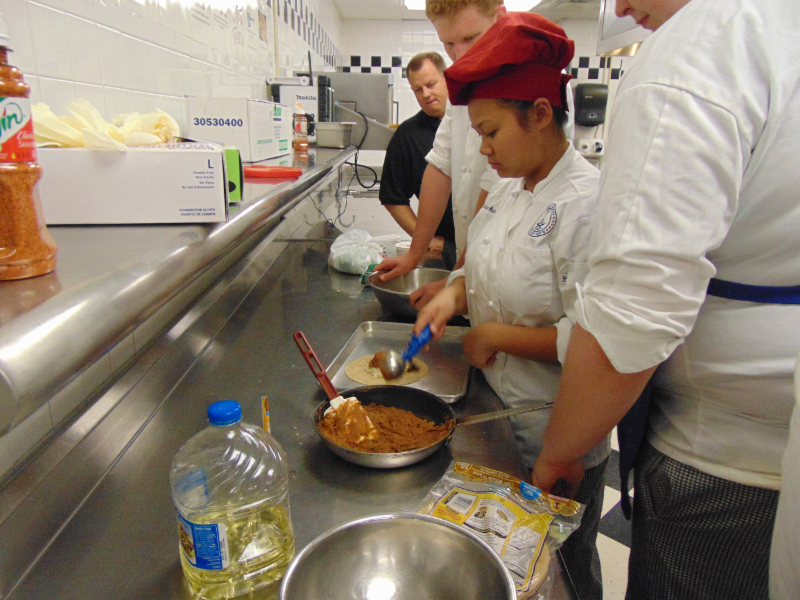 This same process was followed with last year's dish from Lake Braddock, Chicken Shawarma, which was created and produced in a Family and Consumer Sciences classroom using equipment similar to a home kitchen. The new dish is expected to be added to the menu in November 2018. Lani Furbank of Northern Virginia Magazine covered Real Food for Kids' Culinary Challenge in March. Read the article . More Recess for Virginia's Kids! Parents in Prince William and Fairfax Counties, part of More Recess for Virginians , were instrumental in getting legislation passed this spring that allows schools to consider recess as part of instructional time, giving school administrators more flexibility to expand much-needed time for unstructured play at the elementary level. In just a few short months, the Virginia General Assembly passed, and Governor Northam signed, bills HB1419/SB273 which, between them, expand the amount of time that schools can allocate for recess and the flexibility to shave off time from core subjects of English, Math, Civics and Science in order to do so. 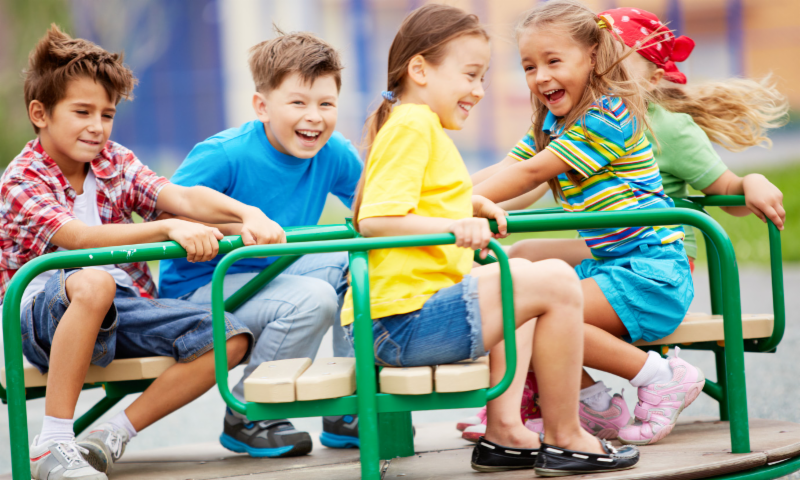 Research supports that recess, or unstructured, child-directed play, improves focus, attentiveness, cooperation, sharing, self-control, academic performance and executive function. Not to mention physical activity that reduces fidgeting, combats obesity, reduces stress, activates the brain for learning and improves mental health and problem-solving skills. The LiiNK study in Texas schools that added more recess found that students scored higher in math and reading than previous classes, were more attentive and cooperative in class and had more energy at home. 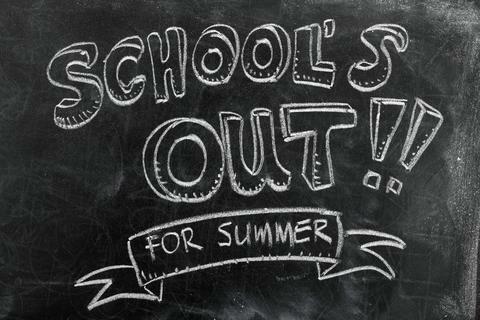 The new recess laws are in effect beginning July 1, but they are not a mandate. Prince William is the first county in the state to take advantage of the flexibility to schedule recess as instructional time. Fairfax and other counties are working with their leadership and school boards to institutionalize the practice. The goal in Fairfax is to have two 20-minute recesses during the school day. ﻿Visit https://morerecessforvirginians.org/ to learn more about work in your county and connect with advocates who are working to integrate more recess at the division and local school level. Breakfast provided courtesy of Real Food for Kids! Fairfax County Council of PTAs invites all Fairfax County PTAs to meet, share ideas, and network with other PTA leaders during the 2018 PTA Leadership Summit on Saturday, June 16th from 9:00 am to 3:00 pm at Thomas Jefferson High School for Science and Technology. All New and Seasoned PTA Leaders Welcome! Susan McCarron, Director of Food and Nutrition Services announced numerous changes to the menu for Montgomery County students for the 2018-2019 school year. Pizza in elementary schools is to be served only once per week and entree salads increased to once per week, for starters. Breakfast will have more protein options, new lunch entrees like Koran Street Tacos and Chicken Coconut Curry will be added along with new fruit and vegetable sides and more vegetarian and vegan options. More on these developments here . Alexandria City families! 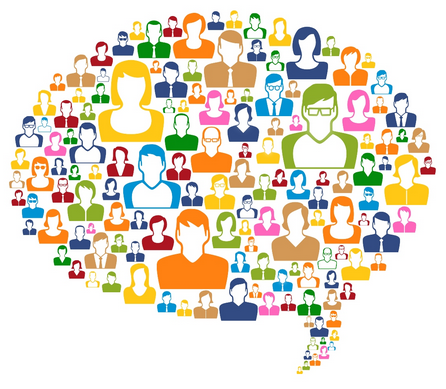 Would you like to be a voice in the conversation about school food? 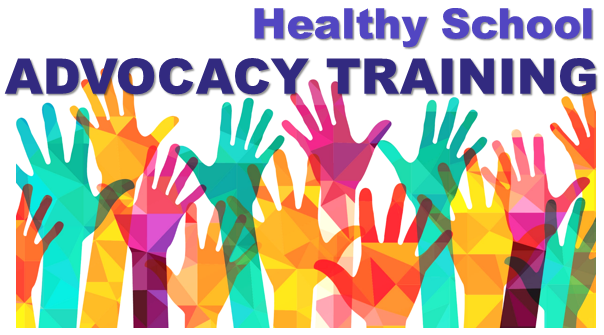 Parents in Alexandria City interested in learning more about the work of our chapter there and becoming involved should email alexandria@realfoodforkids.org . This chapter, established three years ago, is looking to engage parents of students in all grade levels to collaborate with Food and Nutrition Services in advancing the mission of Real Food for Kids. Georgia Shape is a multi-agency and multi-dimensional initiative that brings together governmental, philanthropic, academic and business communities to address childhood (0-18) obesity in Georgia. Real Food for Kids, through Co-Founder and Executive Director JoAnne Hammermaster, who lives in Atlanta, partnered with Georgia Shape and Children’s Healthcare of Atlanta to launch a Strong Start Concession program. The program which began last fall has a tiered rewards program approach to help schools create healthier concession stands. Because schools can determine their concession stand offerings (which do not fall under any state or federal nutrition regulations) Strong Start Concessions offers easy tips and tricks to increase the number of healthy options available that promote sustained energy on and off the field. This program can be implemented at any school in any state! Want to add Strong Start at your school? Contact healthyconcessions@georgiashape.org to learn more and get started. I feel so lucky to have been part of Real Foor for Kids this year. I’ve loved being able to meet so many new people from all around the state and deepen my understanding about school nutrition. I think I have a much more nuanced perspective on school food and nutrition now that I’ve seen how much effort goes into every little part of a school meal. As a student, my gratitude towards my school district has increased so much as I’ve been able to be a part of the amazingly complex systems that go into making my life healthier and happier. Everyone at RFFK has been so wonderful, nice, and helpful and I’m so grateful to them for being so patient, understanding, and generous. It’s been a great year and I can’t wait to keep track of the amazing RFFK things does in the future! I can't wait for you all to meet Kyra West, our incoming RFFK Student Representative and SNAC Chair. Kyra has already recruited a number of students for SNAC but there's always room for more, so send us an email ! More on Kyra in September. 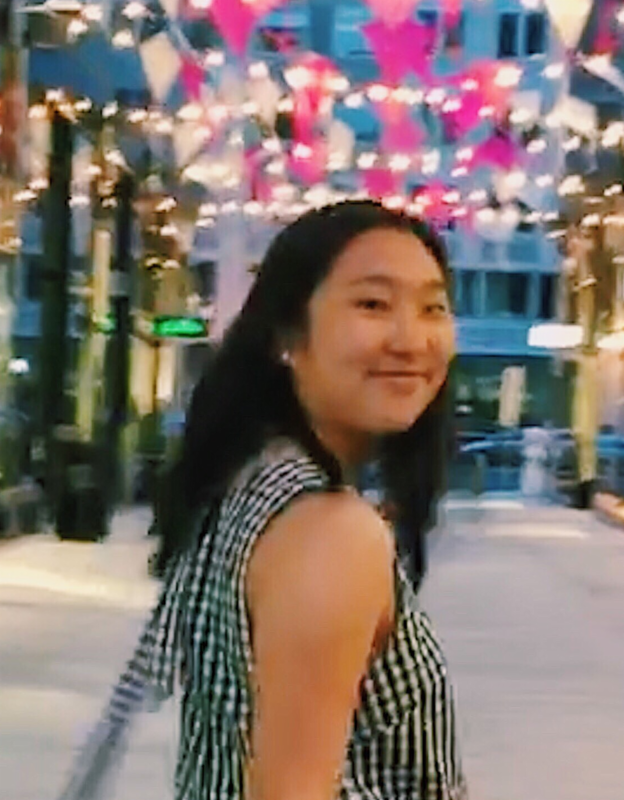 My future course of study is currently undecided but I’m strongly considering Harvard’s oldest major, History and Literature, which lets students design unique courses of studies from various humanities courses. I want to pursue a literature-based track and work in the literary/arts field when I graduate! 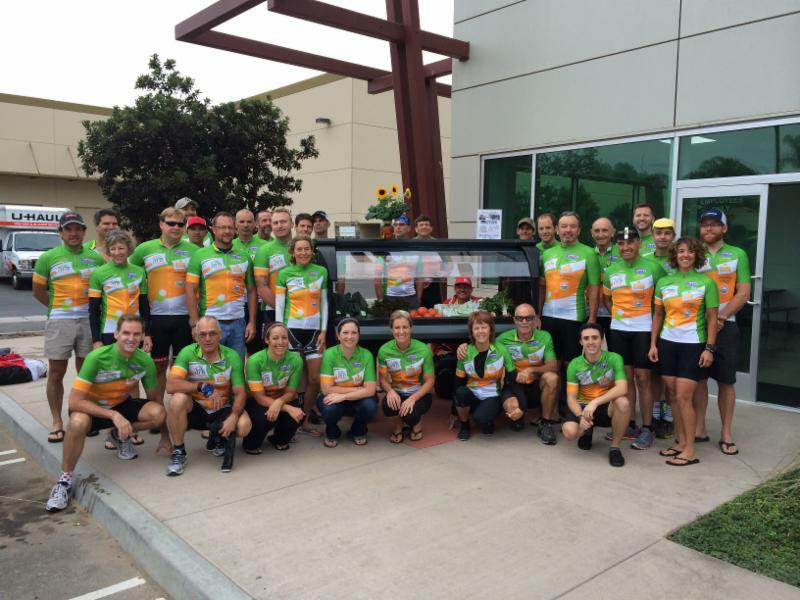 Tour de Fresh , presented by The California Giant Foundation, is a four-day cycling event that raises funds to benefit the national Salad Bars to Schools initiative that has helped provide salad bars to over 5,000 schools benefitting 3 million children. The salad bar equipment in Fairfax County elementary schools have come from this program. The goal of the 2018 Tour de Fresh is to support 50+ new salad bars in school districts across the country. And you can help. Click here to donate now to one or more of our riders. FDA officials say the measure is designed to inspire Americans to make informed, healthier choices while encouraging food producers to offer lower-calorie options. How Far Short do SNAP Benefits Fall in Covering the Cost of a Meal? The current SNAP benefit per meal fully meets the meal costs in less than 1 percent of counties in the US. Thirteen of these 22 counties have SNAP benefits that are less than 5 percent higher than the average meal cost. When families can’t afford to buy fresh produce, they’re not the only ones who suffer: American farmers are losing their livelihood, and rising health care costs affect every taxpayer. You can't combat childhood obesity from just within hospital and health clinic walls or by simply telling kids to lose weight. Kaiser Permanente ventured out into the community to try to make some changes. You may have heard that grilling and barbecuing meats may create cancer-causing substances. New research suggests a possible connection between high-heat meat cooking and type 2 diabetes.